This Sterligcraft Silverplated Basket may look delicate in the picture, but it has the same heaviness and lasting durability as real antique silverplated bowls. Gift boxed. 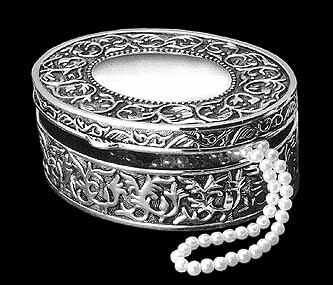 This Sterligcraft Silverplated jewelry box with antique finish has the same heaviness and lasting durability as real silver antique boxes. Gift boxed. This oval tray is ideal for serving hors d'oeuvres, petit fours or candies. 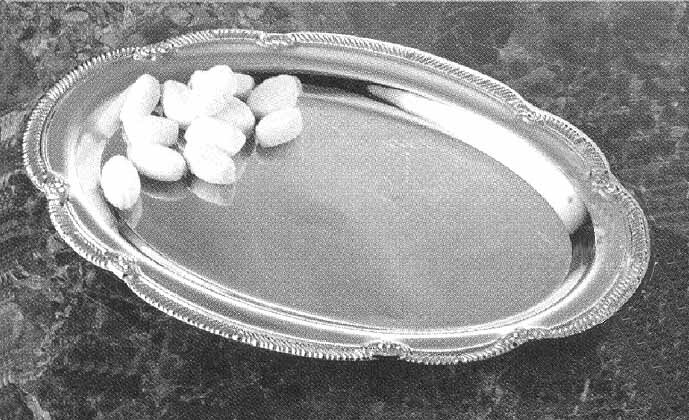 Plated in Sterligcraft finish, it never needs polishing.